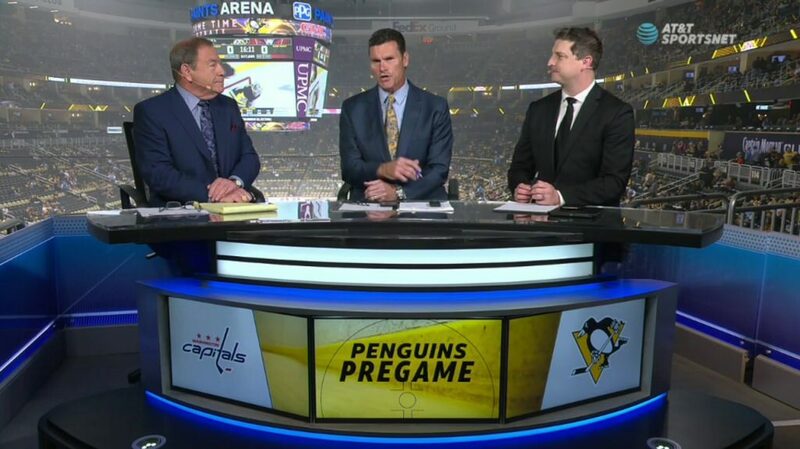 Pens are trying a completely different aproach from a year ago that instead of having 2 NHL centers on the ice they decided to play 5 tonight. Really like the depth and balance throughout the lineup, both forwards and defense. Here’s to a healthy season! If it works, everybody will follow. Funny! Geno says, In Pittsborg is hockey night. Coaching staff was pretty chill during those intros. Totally making up some of these teams. Admin wrote: Totally making up some of these teams. Not the most exciting thing I've ever seen. Agreed. Team looks focused though. Crowd looked bored but if he’s comparing it to a Cup-winning opening night, then duh. Maybe if we pointedly ignored our Stanley Cup winning coach they would have like it. First time I will ever do this, great save by Holtby. Nice pass from the official.